From fashion trends to crime rates, why do major changes in society seem to happen so suddenly? What is it that pushes a brand into the limelight, or causes crime rates to plummet? 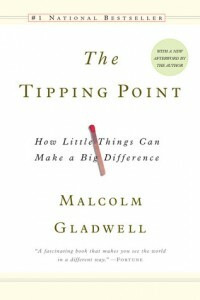 Malcolm Gladwell, author of The Tipping Point: How Little Things Can Make a Big Difference, compares these changes to an outbreak of the flu: just as one person can start an epidemic of sickness, a handful of people can cause a trend to explode — seemingly from nowhere. The truth is there’s stuff—head colds, funny pictures of cats—getting passed around all the time; but what can bring an epidemic of any kind to “the tipping point” is based on three things. [This theory] doesn’t mean everyone is linked to everyone else in six steps. It means that a very small number of people are linked to everyone in a few steps, and the rest of us are linked to the world through a special few. It’s these “special few” who are responsible for creating tipping points in society, and they come in three different flavors: Connectors, Mavens, and Salesmen. Connectors are the people you meet who seem to know everyone. They have a knack for making friends and acquaintances, keeping in touch, and connecting people who need to be connected. They know people from all niches and walks of life, and are gregarious and social. Mavens specialize in collecting knowledge, and satisfy their own personal needs by by solving others’ problems. Mavens like getting deals—on anything—and love sharing those deals with others. These are the people who help you get a sweet deal on a car by telling you about average maintenance costs, resale values, and the best dealership in town. What sets Mavens apart…is not so much what they know but how they pass it along. 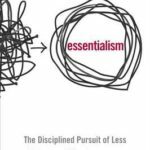 The fact that Mavens want to help, for no other reason than because they like to help, turns out to be an awfully effective way of getting someone’s attention. Mavens are data banks and Connectors help spread a message, but they can only have any real impact on those who already believe in the message they’re spreading. Salesmen are charismatic and optimistic, people with whom you can’t help but agree and like. However, Gladwell uses some unexpected and appreciated examples to make his point: children’s shows Sesame Street and Blues Clues. The whole chapter is fantastic, but the gist is that both shows consistently use research to make sure each episode is as “sticky” as possible, ensuring that viewers get the message they’re trying to spread (children’s literacy and thinking skills). Each show creates sticky messages in different ways, and reading about that research is absolutely my favorite part of The Tipping Point. The Power of Context states that humans are more sensitive to their environment than they seem. Epidemics are sensitive to the conditions and circumstances of the times and places in which they occur. [For example]…in Baltimore, syphilis spreads far more in the summer than in the winter. Gladwell uses the example of the New York City subway system to illustrate the point further. In the 1980s the subway was a disaster. Cars were covered in graffiti, fare beating was common, and thousands of people were robbed every year. Yet by the end of the 1990s there were 75% fewer felonies, and the subway was on its way to becoming the (relatively) safe and reliable system it is today. The reason for this drop hinges on the “Broken Windows” theory posited by James Q. Wilson and George Kelling: if you see a neighborhood with a broken window, you’re more likely to think no one’s in charge and no one cares what happens there. So more people break windows and commit bigger and bigger crimes — because anything goes. In a city, relatively minor problems like graffiti, public disorder, and aggressive panhandling…are all like the equivalent of broken windows, invitations to more serious crimes. It’s bizarre to think about, but essentially focusing on the smaller problems—graffiti and fare beating—did more to improve the subways than did repairing tracks or proper lighting. Context is king when it comes to a tipping point. Sometimes you really should sweat the small stuff. The final sections of The Tipping Point are case studies, using the boom and bust of shoe company Airwalk and the quest to make “unsticky” cigarettes, to show how the Law of the Few, the Stickiness Factor, and the Power of Context combine into the perfect storm, a tipping point in culture and time. 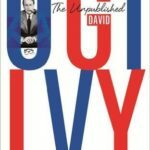 I read one of Gladwell’s other books, What the Dog Saw, in early 2011, and really enjoyed his writing — it’s amazingly well crafted, and sucked me in immediately. 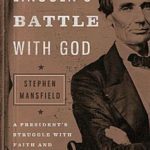 So when Non-Fiction November rolled around this year, I know he had to be on my list. This review is much longer than normal (perhaps an indication that the books I typically read might be a little more on the “fluff” side than is strictly necessary), but it’s such a dense and fascinating topic that I couldn’t stand to leave things out. The I-work-for-a-marketing-company side of my brain is obsessed with connecting Gladwell’s points back to my work, and the I’m-obsessed-with-sociology side is amazed at the potential impact this could have on so many aspects of our lives. There’s no way I could cover everything, though, so I highly encourage you to check out The Tipping Point. You won’t be disappointed. 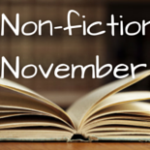 I read The Tipping Point as part of Non-fiction November. Click the image to see posts from this and previous years!